Apple has posted to its website an on-demand version of Thursday's special event that saw the introduction of new iPads, a Retina display iMac, revamped Mac mini and OS X 10.10 Yosemite. The entire broadcast from today's event that took place at Apple's headquarters in Cupertino, Calif., is now available for streaming online through the company's dedicated events webpage. Coming in at just under 1 hour and 20 minutes, the video is a complete re-airing of Apple's product releases and software announcements. The iPad Air 2 was a major highlight today, with the refreshed tablet coming in at only 6.1mm thick, but boasting an A8X processor, M8 motion coprocessor and a battery good for 10 hours of continuous operation. 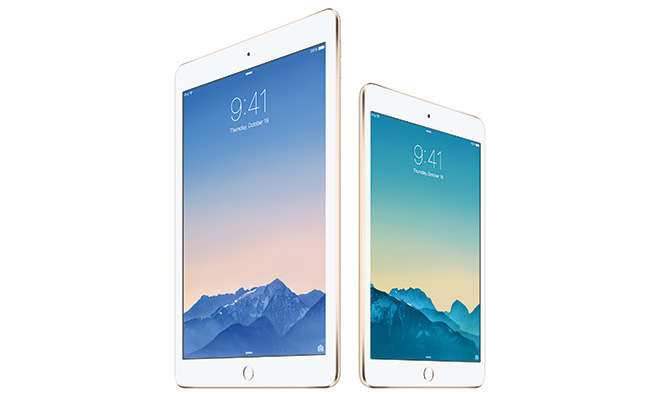 Apple's flagship slate also received a new gold color option. The iPad mini 3 gets Touch ID fingerprint recognition, but carries over the same A7 SoC from last year. Also unveiled a completely new iMac with Retina display, which boasts a 5K screen packing in 14.6 million pixels. With a resolution of 5,120-by-2,880 pixels, Apple is touting the panel as the "world's highest resolution display." A new Mac mini model was unveiled as well with refreshed internals, while the original iPad mini received a price cut to $249. Apple announced availability of OS X Yosemite, the next-generation Mac operating system that includes advanced Continuity features compatible with current iOS 8 devices. Finally, the presentation included mention of iOS 8.1 and Apple Pay, both of which are being readied for release next Monday. As for future hardware, a WatchKit SDK is coming in November for developers writing code for Apple Watch.